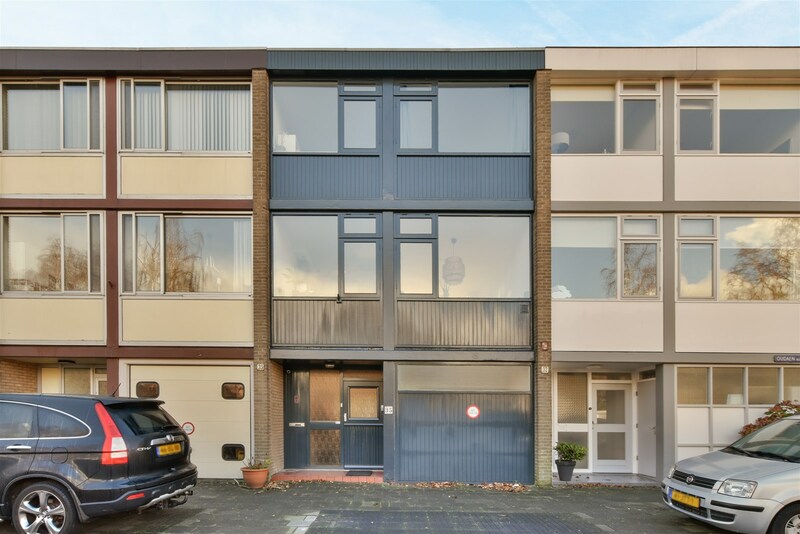 Looking for a superb, newly-renovated family home with five bedrooms and a rear garden ... in Amsterdam? Look no further! NOW AVAILABLE FOR SALE: This generously-proportioned family home in a fantastic location is completely ready for you to move in. This spacious home measuring around 168 sq. m. has two front doors and two balconies, not to mention the luxury of a beautiful south-facing rear garden. The downstairs floor of this property would be perfect as a business area or separate rental (think: Airbnb), making this property a very attractive investment. This three-storey family home boasts five full-sized bedrooms, two brand-new bathrooms and two separate toilets. The many windows and two skylights provide the home with an abundance of natural light. Both balconies benefit from uninterrupted views to the south. 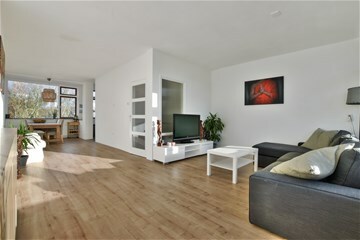 This large, light home enjoys an excellent location in the pleasant, child-friendly neighbourhood of Buitenveldert. This area, situated just around the corner from the Zuidas business district, is currently enjoying extensive development; soon this area will be home to a new international centre with a wealth of new shops, bars and restaurants. 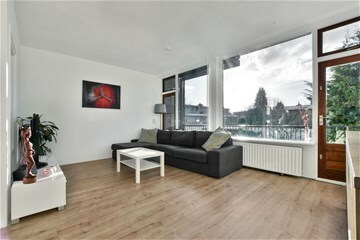 You have a choice of schools in the immediate vicinity, as well as the shops on the Gelderlandplein. 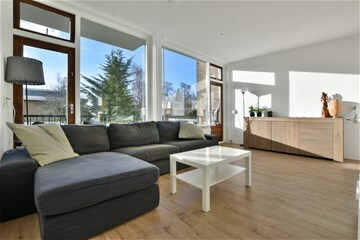 The great public transport connections (such as tram 5 and metro 51 within walking distance) and nearby road connections (the A10, A2, A4 and A9 orbital motorways are all just minutes away) make this property the perfect home base for destinations both in Amsterdam and further afield. 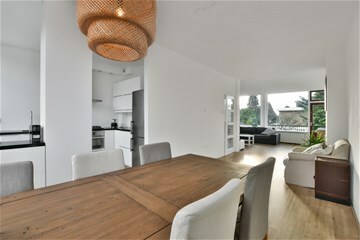 Its location near the Amsterdamse Bos recreation area places this home in the most sought-after part of Buitenveldert. The Amsterdamse Bos offers paths to stroll down, hockey and football fields, facilities for rowing and canoeing, playgrounds, tennis courts and even a petting zoo with an open-air theatre. A few minutes’ walk will take you to a plaza where you will find a large Jumbo supermarket alongside stalls selling fresh produce such as vegetables, cheese and fish. The Groot Gelderlandplein shopping centre also houses a wide range of shops such as Marqt, Pain Quotidien, Coffee Company, Hema and Albert Heijn XL, together with a variety of local shops. And that’s not all: your immediate surroundings are also home to Vrije Universiteit Amsterdam, VU University Medical Centre Amsterdam, Gijsbrecht van Amstelpark and Amstelpark. You can be in the centre of Amsterdam in under ten minutes. With a parking permit you can park right outside your door. The dynamic of the capital, combined with the convenience and tranquillity of the accessible Buitenveldert area – this home is one of a kind! 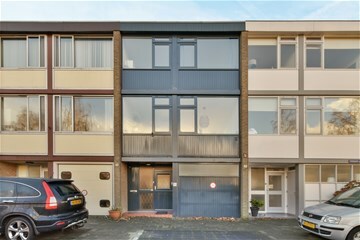 Entrance, spacious foyer with a meter cupboard and cloakroom, entrance to a separate apartment featuring a living room with kitchenette and two bedrooms. Separate toilet, bathroom with shower and wash basin (2017). Access to the wonderfully sunny garden is through one of the two bedrooms. Stairs to first floor (refurbished in November 2018), landing with storage cupboard and a sunny, spacious living room offering access to the balcony that spans the entire width of the home to the rear. Neat, semi-open kitchen equipped with various fitted appliances and situated to the front of the home (2017). On this floor you will find three bedrooms, a separate toilet and a lovely, neat bathroom with a bath, shower, heated towel rack and double wash basin with storage space. This bathroom was also renovated and extended in 2017. A fixed staircase and a large dome in the ceiling of this floor provide access to the roof, which has also received a makeover. 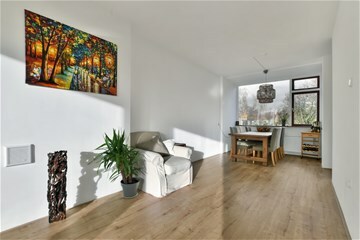 This attractive property on the edge of the vibrant Zuidas business district in Amsterdam offers a wealth of options, whether you are an entrepreneur, an investor or looking to move here with your family. 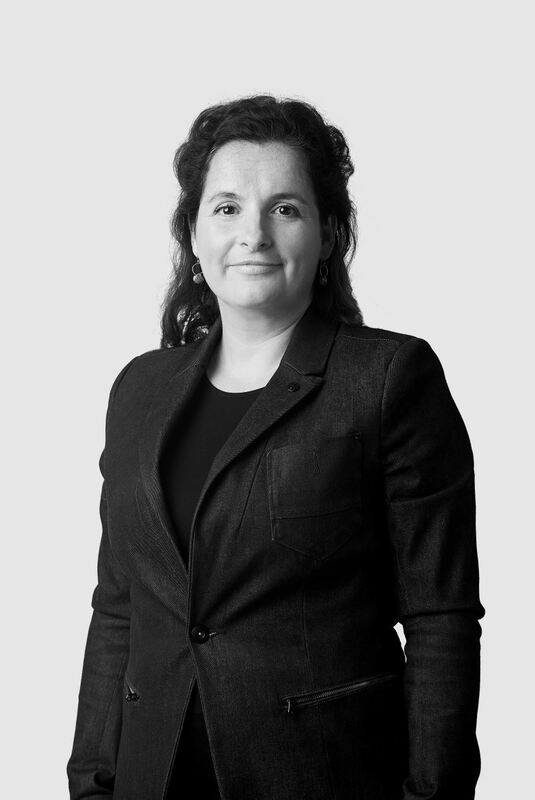 You even have the option – subject to permission from the municipality – to divide the property into two separate apartments, each with its own entrance. - Acceptance subject to agreement. We would be happy to make a no-obligation appointment for you to view this property!